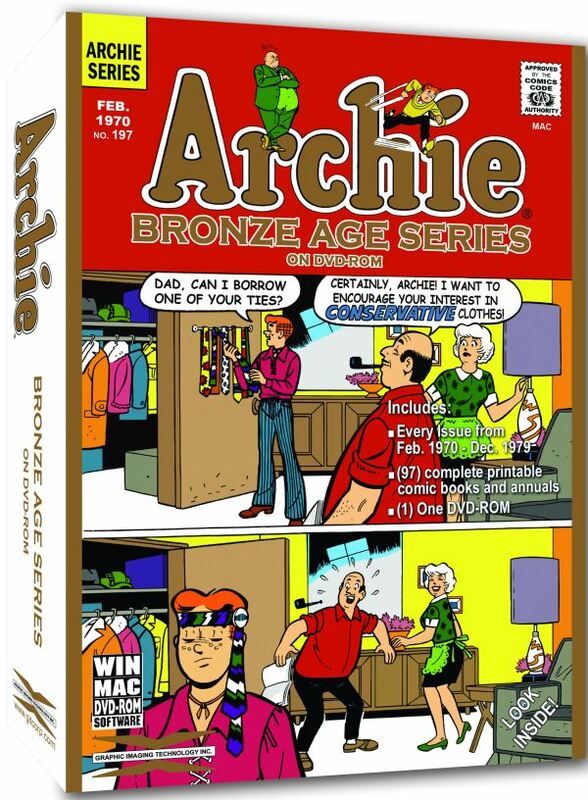 Archie Comics has announced it is going digital – not with an online offering, but rather the company is collecting the bronze age titles from 1970 through 1979 onto a DVD-ROM that is compatible with almost every system. You’ll be spared ads from the time period, and for $20, getting 97 classic Archie tales seems like a good deal. The DVD-ROM is available now.